DEPLOYMENTS: No regular deployments on aircraft carriers. 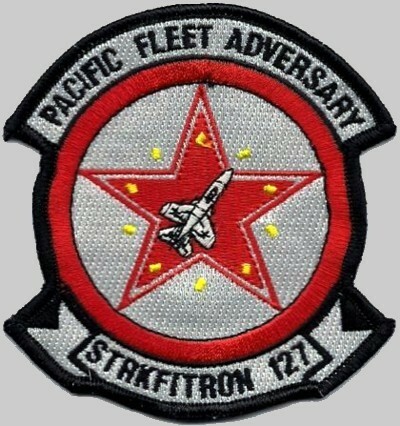 VFA-127 was a Fleet Adversary Squadron (Dissimilar Air Combat Maneuvering). Established as an Attack Squadron designated VA-127 on 15 June 1962 at NAS Lemoore, California, it was redesignated VFA-127 on 1 March 1987. 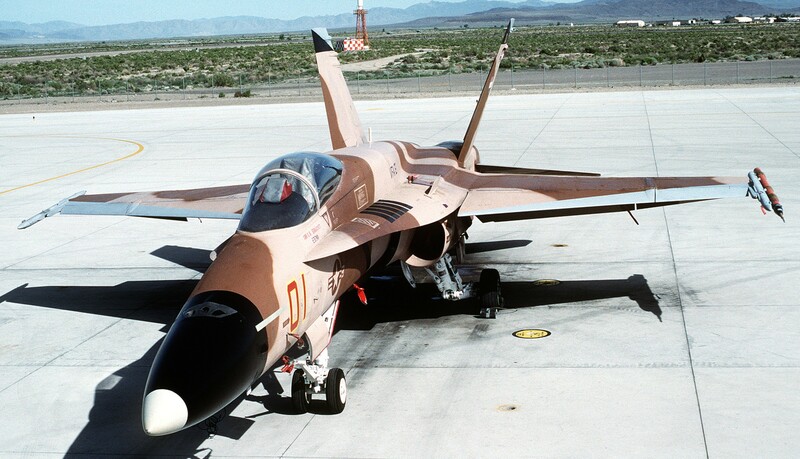 On 1 October of that year, it moved to NAS Fallon, Nevada. The squadron was disestablished on 23 March 1996. Prior to being established as VA-127, the unit operated as VA-126 Det Alfa with a mission to provide basic and refresher all-weather jet instrument and transition training for pilots on the West Coast. 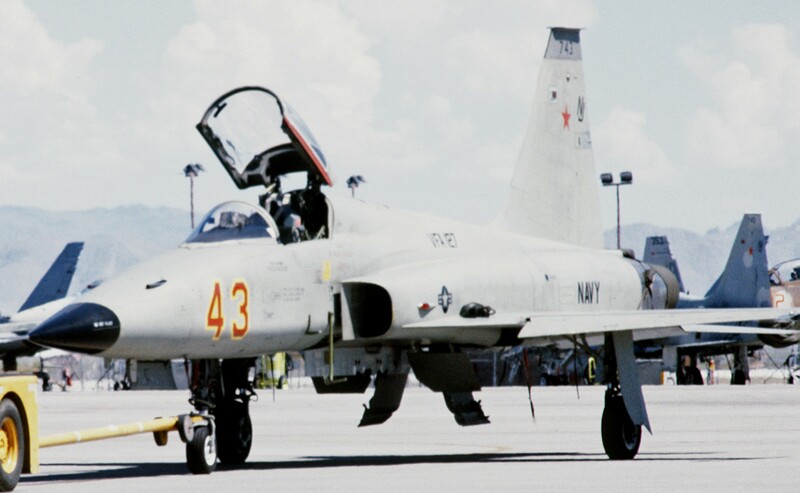 Upon being redesignated VA-127, its primary mission became to provide advanced all-weather jet instrument training for fleet replacement pilots and refresher training for light jet attack pilots. A secondary mission included jet transition and refresher training. On 1 Jun 1970, the squadron’s mission was modified when it was designated as the only A-4 Replacement Air Wing squadron in the Navy. 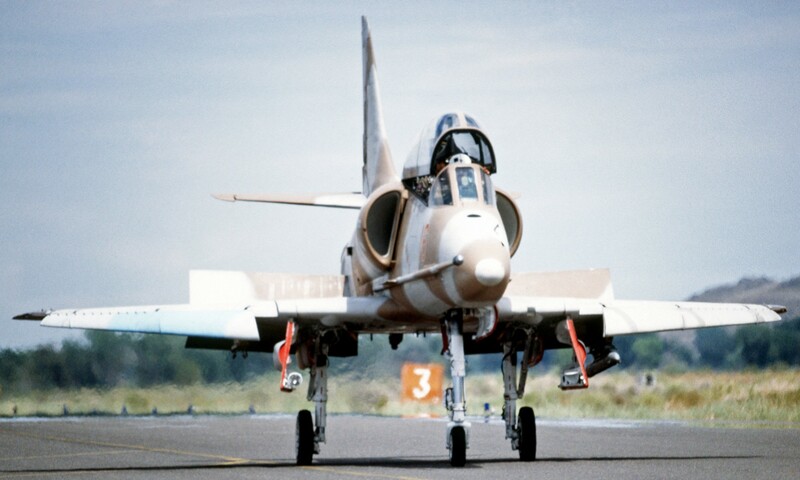 The primary mission included fleet replacement pilot training, basic and refresher all weather jet instrument training and replacement enlisted training in both the TA-4 and A-4 model aircraft, plus the ancillary mission of providing jet transition training. 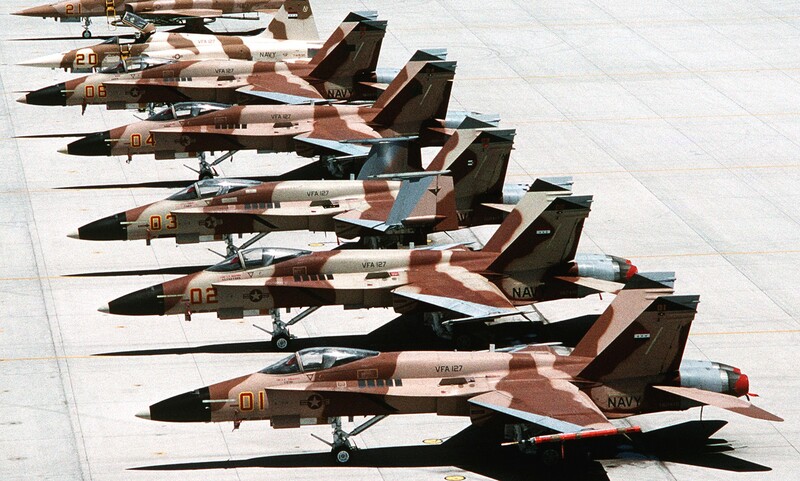 The flight syllabus included weapons delivery (conventional and nuclear), airborne electronic countermeasures, field mirror landing practice, low level navigation, inflight aerial refueling, defensive tactics and carrier qualifications (day and night). 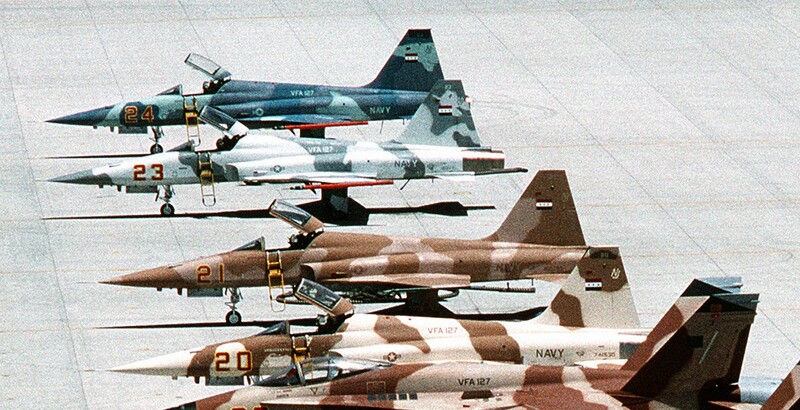 In 1971, the squadron expanded its training on the A-4 to include personnel from the Argentine Navy; previously it had trained only U.S. naval aviators. That same year, it also began training pilots of the Singapore Air Defense Command. 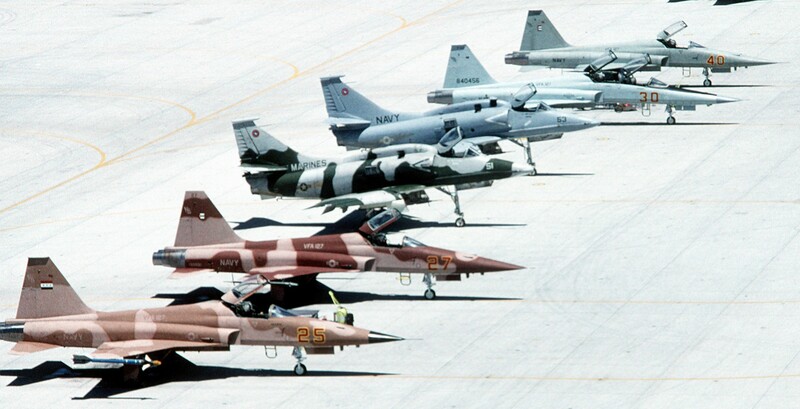 In 1975, the squadron’s primary mission changed once again. Fleet Replacement Pilot training and the Fleet Replacement Aviation Maintenance Program were discontinued. The squadron’s new missions included basic refresher all weather jet instrument training, air combat maneuvering adversary training, foreign pilot training, and jet transition/refresher training. 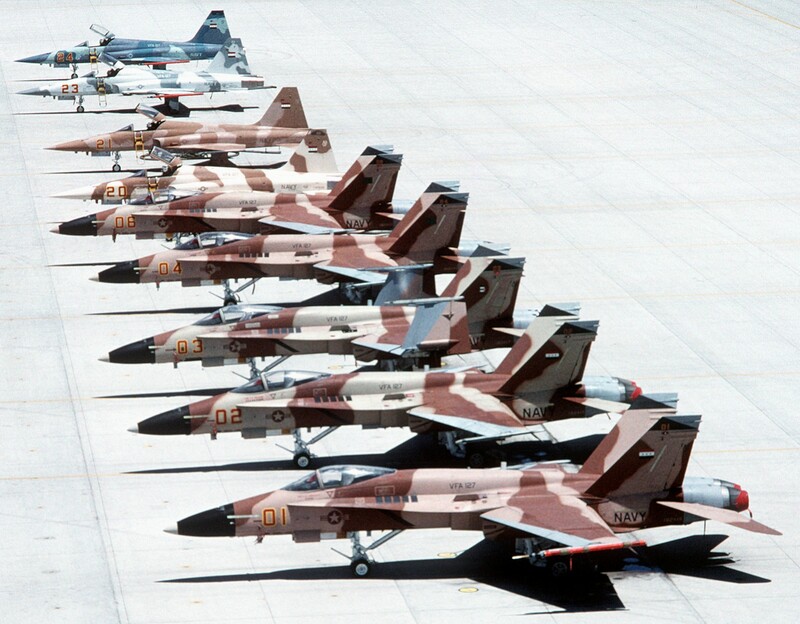 In November 1975, CNO officially tasked VA-127 with the mission of air combat maneuvering (ACM) adversary training. On 1 Oct 1983, The squadron’s instrument training mission was dropped and the primary mission became the Adversary Role (Dissimilar Air Combat Maneuvering).